This document describes how to use YouAppi SDK on Unity with YouAppi MoPub adapter. 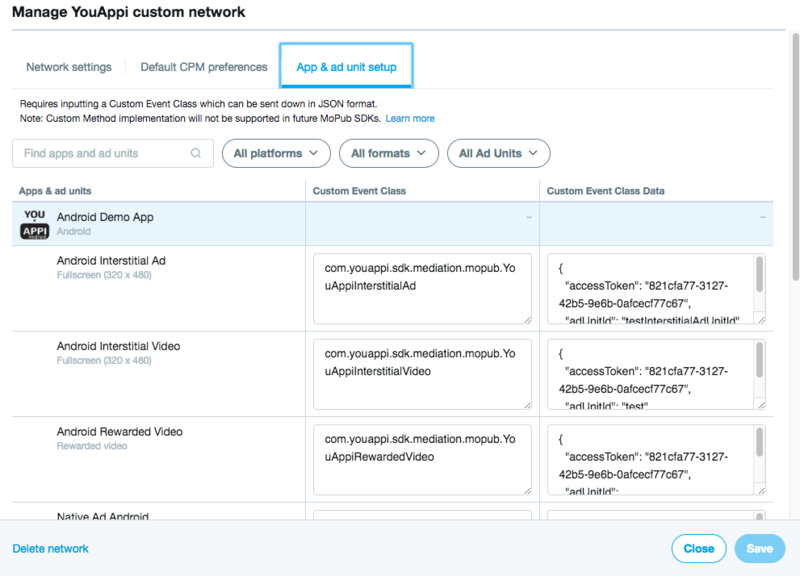 Add MoPub mediation Unity package to your project (you can refer MoPub web site for full integration instructions). Google Gson support: gson-2.8.0.jar (needed by YouAppi’s SDK). Using MoPub mediation SDK create a rewarded video unit and use it to load a rewarded video and show it. In General Tab make sure Deployment Target is at least 8.0. In General Tab add to Embedded Binaries: YouAppiMoat.framework. In Build Settings set Always Embed Swift Standard Libraries to Yes.